With explosive sales growth in the states where legal marijuana sales have occurred for medical and recreational use, analysts now project the cannabis industry could become a $25 billion business by 2020. That number goes even higher – to $35 billion –if all 50 states make marijuana sales legal. Those projections first came to widespread attention in a report from the Wall Street Journal’s Marketwatch site, which quoted projections made by GreenWave Advisors, a company that tracks marijuana sales in the states and the District of Columbia where it has been legalized. The numbers are staggering. Colorado, which legalized marijuana in 2014, has surpassed sales of $305 million. In Washington, sales have topped $180 million in the first year of legalized sales. The surge in sales is happening because a formerly black market business is now regulated, according to Marketwatch. “As was the case in advance of the federal repeal of alcohol prohibition, there is a landscape of opportunity in states that allow for the use of recreational or medical marijuana,” Steve Gormley, chief business development officer at OSL Holdings, told Marketwatch. In its report at the end of 2015, GreenWave Advisors found that sales have remained strong, particularly in Colorado and Washington. The company also expects Congress, even with a Republican majority, to consider reforming laws pertaining to the sale of medical marijuana. GreenWave also anticipates that more doctors will prescribe medical marijuana as more precise dosing becomes the norm. Much of the growth depends on how many states follow in the footsteps of Colorado and Washington. Marijuana dispensaries also are grappling with issues involving analytics – which is improving – and banking, which is still up in the air. There are data analytics companies cropping up to support dispensaries with the kind of in-depth data used in other industries. Those numbers include wholesale pricing data, investment statistics, point-of-sale data and benchmark performance information. The data analytic companies include BDS Analytics and New Leaf Data Services. “The data side is going to look more like it looks in other industries. 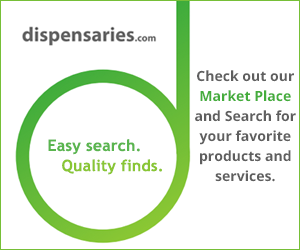 We’re just playing catch-up now,” Roy Bingham, CEO of BDS Analytics, told Marijuana Business Daily. Most banks still will not take deposits from marijuana sales, although some in Congress have been working to change federal banking laws on this issue. 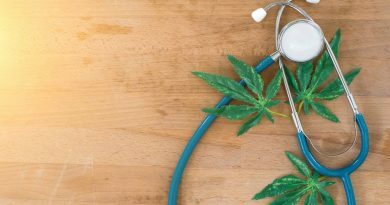 While marijuana is still listed as a Schedule 1 drug by the federal government, there are changes that are making it somewhat easier for dispensaries. For example, the U.S. Treasury Department has provided guidelines for banks that want to deal with dispensaries, helping to potentially clear the way for changes, according to the New York Times. Also small start-ups have been founded to help dispensaries track transactions and move it away from a strictly cash business. A few credit unions and small banks also are now opening accounts for dispensaries that perform legal marijuana sales.